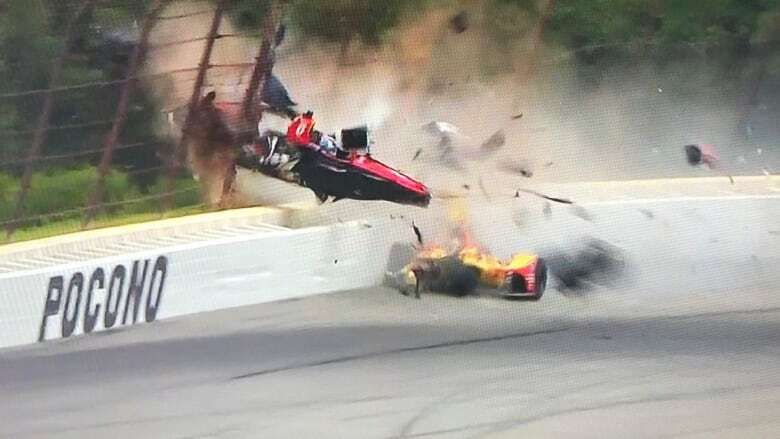 When pondering the eternal question of what to do with one’s life, the answer probably isn’t spending two hours of your Saturday watching ABC’s coverage of IndyCars racing ‘round IMS’ infield at interstate speeds. Happily, and thanks to our wildly successful prognostications, now you won’t have to. Our sensible suggestion: have a toga party, instead! IRR’s special prediction for this so-called race, which we made our thoughts relatively clear on with “Preview: F-ing F-1’s F-ing F-up,” is tedium times ten. Put another way the grand prix is, as Neidermeyer so memorably said, “worthless and weak!” Since its inception in 2014 when Pags finished first for Schmidt Peterson, Team Penske’s won every GP, usually going away. Both Pags and Power now have triumphed twice, making the event interesting only if you’re a Cap’n’s sycophant type of fan. In which case, of course, you too are worthless and weak. Our pick for pole is obviously Penske, for in addition to the above appalling stat – merely the latest in a long line of ‘em – the team’s swept the last three. The only exception came during that laughable inaugural Indy GP, featuring SeSaav’s infamous standing start stall on pole for the now defunct KV Racing. Pags won from P4 in that embarrassment, but since then Power’s won from pole twice including last year, while Pags again triumphed from P1 in 2016 for Penske. Sounds like a compelling afternoon of racing, doesn’t it?